Herbert Jones farmed at Hall Farm, Honington. He’d been born in Heckington and (1909) married Mabel Hunter from Barkstone. Their only son Harold Jones was born in 1911. He later farmed with his father as partners in H&H Jones, with farms at Honington, Carlton Ashes (Barkston Gorse Farm) and Ashwell, near Oakham. In 1935 Harold married Lorna Dawson of Welbourn Manor and they lived at Ashwell Manor. 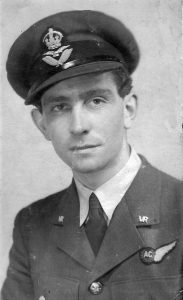 During WW2 Harold joined the RAF, becoming an air gunner with 500 Squadron Coastal Command. In 1940 they were flying Avro Anson aircraft on coastal patrols over the Channel and North Sea. Flying Officer Jones was the gunnery officer and obtained permission to fit 2 additional machine guns along the fuselage side, making the Anson far less vulnerable to attack by fighters. In April 1941 the Squadron began to convert to the Bristol Blenheim bomber, allowing them to fly reconnaissance and bombing raids on enemy coastal targets. But on Friday 18 Apr 41 Fg Off Jones and the rest of the 4-man crew were killed when their Blenheim crashed on take-off at RAF Detling, Kent. An engine is reported to have cut out, after which the aircraft stalled, rolled and crashed on the A249 road, where it caught fire. According to another report the aircraft took off in the wrong direction and hit a flagpole by the guardroom. He was buried in Honington Churchyard after a service attended by local dignitaries including Lord Brownlow. There was also a memorial service at Ashwell and Harold is listed on the Ashwell War Memorial. 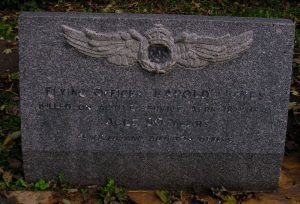 Harold had a sister Zena (born 1918) who served in the WAAF. After Harold’s death, Herbert (by now also a Kesteven Alderman) sold off the stock at the Ashwell and Barkston Gorse farms. By the time he died in 1954 he’d been awarded the CBE.